View more recordings at shop.salvationarmy.org. 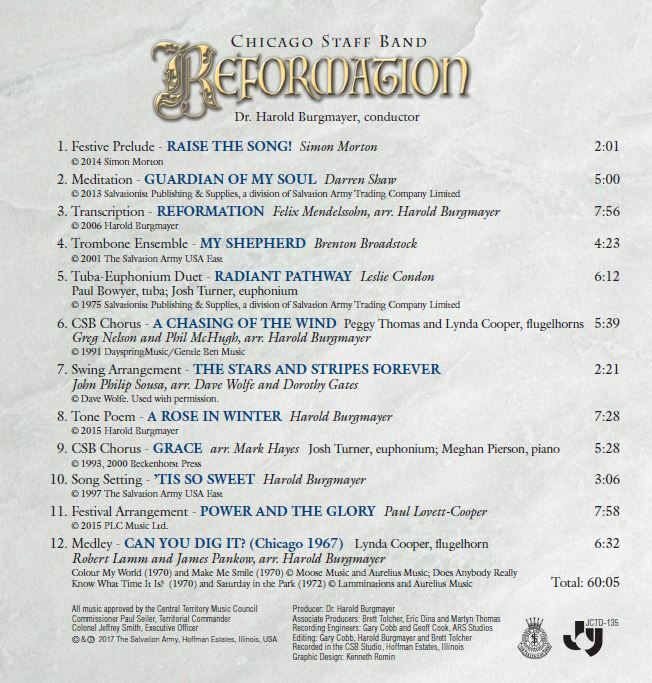 Therefore, it is not unusual for the Chicago Staff Band to perform in a variety of situations such as colleges, prisons, churches, and hospitals; in concert halls and on street corners; in tiny towns and major cities. Founded in 1907, the band has traveled extensively throughout the United States, as well as concert tours of England, Canada, Mexico, Chile, Australia, Hong Kong, Singapore, New Zealand, Philippines, Puerto Rico, Panama and made a return visit to London where the band was privileged to play for Her Majesty, Queen Elizabeth II. In spite of the many changes in personnel over the band's history, the CSB remains dedicated to Christian service and musical excellence. 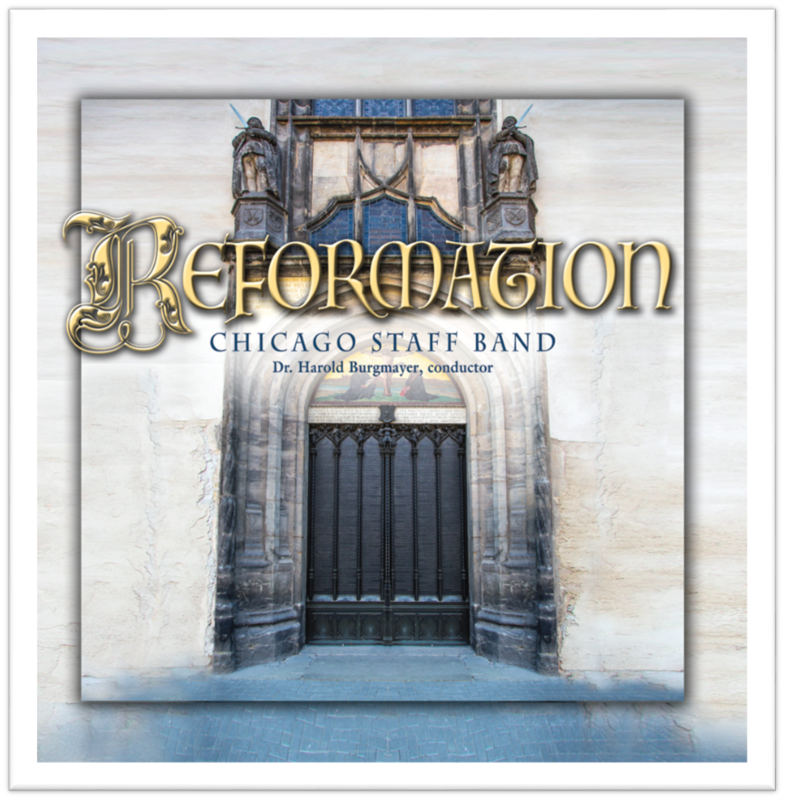 It is a band composed of capable musicians, but more importantly, it constantly strives to be what was described by a Chicago newspaperman many years ago as "the band with a sacred message."